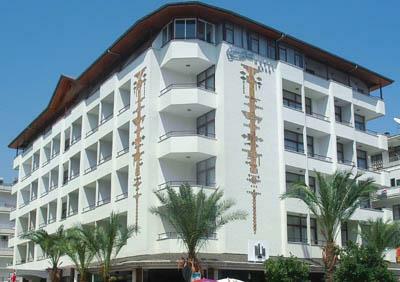 The Grand Bali Hotel is located in a quite part of Alanya, just 80 meters from Alanya museum and Tourism Information. The beach is just 150 meters away for lazy days in the warm sunshine, and as evening falls, the lively nightlife of Alanya awaits. Near the hotel there is in open air public tennis courts, football, beach volleyball and basketball area. The airport of Antalya is 120 km away. 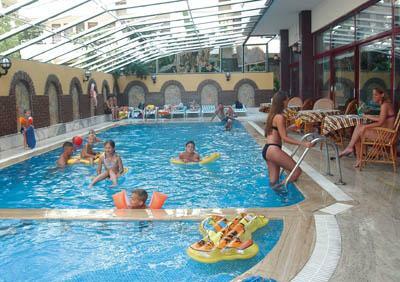 Reception * lobby * restaurants * bars * outdoor swimming pool * children’s pool * indoor swimming pool. Table tennis * Turkish bath * sauna. 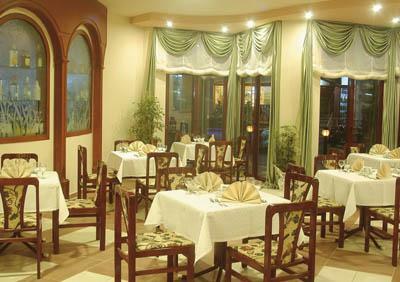 Food and beverage on the beach * imported drinks * fresh orange juice * ice cream *massage * water sports * internet. 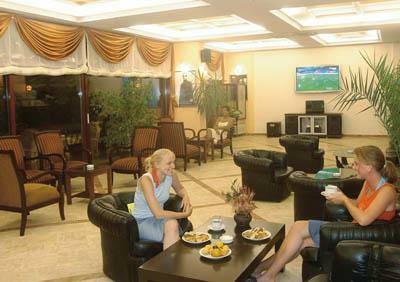 Air-conditioning (split) * balcony * minibar (drinks payable locally) * satellite TV * bathroom with hairdryer * telephone * safety deposit box. The sandy beach is just 150 meters away. Sunbeds and umbrellas payable locally. Open buffet breakfast, lunch & dinner, late breakfast. Coffee and cake.